Islamabad, April 9: Pakistan on Monday hinted at the fact that it would allow its western neighbours to trade with India through its land route. While unveiling a fiscal deficit plan floated by the International Monetary Fund (IMF), Geo News quoted Pakistan Finance Minister Asad Umar as saying that his country was keen to promote regional trade -- including with India and Iran.Umar emphasised on the need to revive the Regional Cooperation and Development (RCD), formed under the cooperation extended by Pakistan, Iran and Turkey in 1964. He also said that Pakistan wanted to trade with Europe through Iran and Turkey. "In return, Turkey can get access to India and China via Pakistan," Umar was quoted as saying. 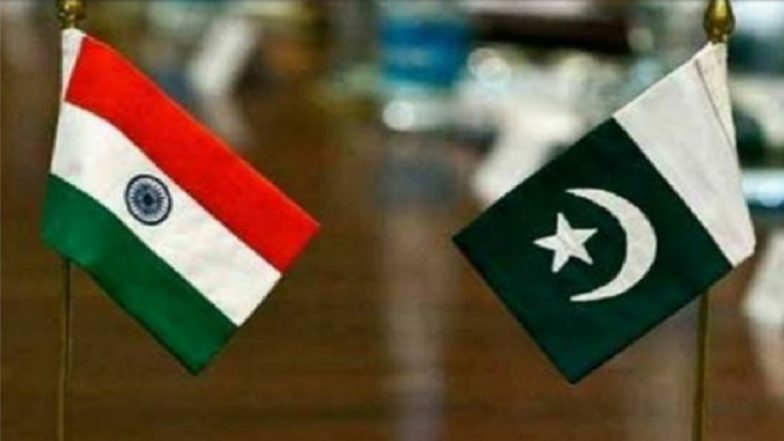 Pakistan wanted to enhance trade ties with India, hoping that the composite dialogue between the two countries may start after the general elections in India, the minister added. How the Closure of India and Pakistan's Air Space Impacted Flights Around the World. Pakistan inaugurated the Medium-Term Economic Framework (MTEF) report titled: 'Road map to Stability, Growth and Productive Employment', a reform project aimed at strengthening the chronic budget deficits that have thrown the country deeper into a debt trap. According to the plan, Pakistan has decided to bring energy prices to the cost recovery levels, and has restarted automatic quarterly tariff adjustments, Umar said. The plan also focused on setting up a Fiscal Coordination Board to improve coordination with the provinces, which is also part of the IMF recommendations. Negotiations between Islamabad and the IMF have reportedly reached its final stage as all issues related to a bailout package have been settled. After the agreement is signed with IMF, Pakistan would be able to get more funds from the international bond market, Umar said. Last week, Pakistan's Central Bank lifted its key policy rate by 50 basis points to 10.75 per cent, citing continuing inflationary pressures as well as high fiscal and current account deficits. Consumer price inflation has jumped sharply over the past year, climbing from under four per cent at the start of 2018, lifted by sharp rises in food, fuel and transport costs that have squeezed household budgets.